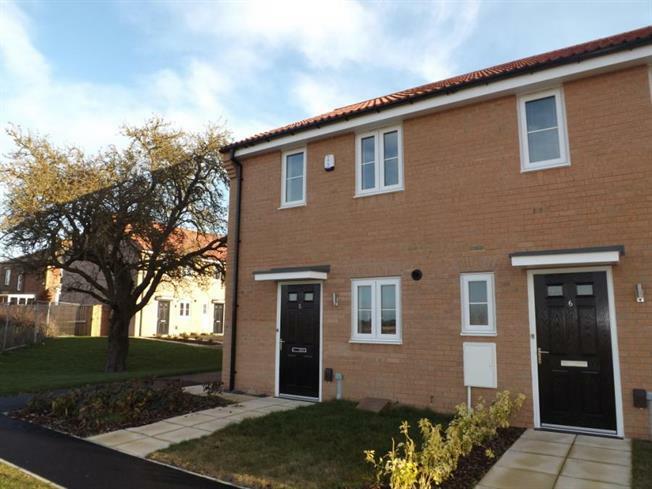 2 Bedroom Terraced House For Sale in Yarm for £120,000. 6,000 deposiit BUY IN PART WITH SHARED OWNERSHIP. With the ability to get onto the housing ladder with a small deposit, you can make a home ownership a reality with Thirteen and buy a home in part through Shared Ownership - The affordable way to buy. Now released! We are offering a number of 2 and 3 bedroom homes at an exclusive Taylor Wimpey development in the popular location of Yarm through our Buyin Part, Shared Ownership scheme. If you havent discovered the charms of Yarm yet you only need to explore the historic High Street and the River Tees that runs through the town to get a real sense of the place. The town offers plenty to see and do including the shops, bars and restaurants on the High Street as well as a general ambience that the popularity of the High Street creates. The Canford, a 2 bedroom home available to buy from 40,000 and a minimum of a 2,000 deposit!